Add a Rogers email account to BlackBerry 10 device: Open the BlackBerry Settings app. Scroll down and tap Accounts. From the bottom menu tap Add Account. From the bottom menu tap Advanced. Tap the IMAP account type. Enter your full Rogers email address in the Username field. Enter your Rogers email address in the Email Address field. Enter the App Password you created in in the Password field... Note: If you want to open an IMAP folder by default when opening Microsoft Outlook 2010 and 2013, please select a folder under your IMAP account name, such as folders of Gmail. 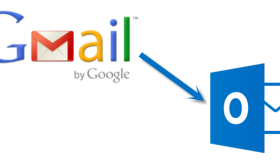 HOW TO ADD AOL EMAIL ACCOUNT TO OUTLOOK 2013 USING IMAP?